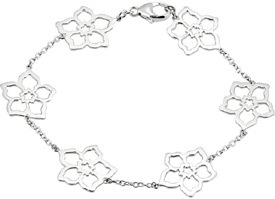 Every woman�s jewelry box needs a white gold bracelet or two. These pieces are able to add a touch of class to any outfit, bringing a pulled-together touch to jeans and a T-shirt or a little something extra to a dressed-up ensemble. 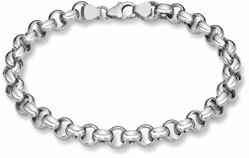 ApplesofGold.com�s collection of white gold bracelets for women has a style for two for every taste, whether you�re looking for a subtle accent or a statement piece. Read more. 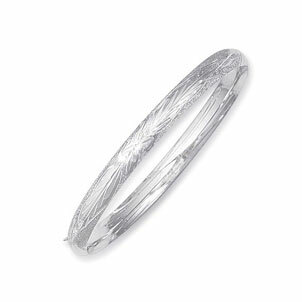 Each of the pieces in this collection of white gold bracelets for women is crafted from 14K white gold, making it a piece of fine jewelry that�s been created to endure. These chains and bangles will remain beautiful year after year and will be suitable to pass on future generations. 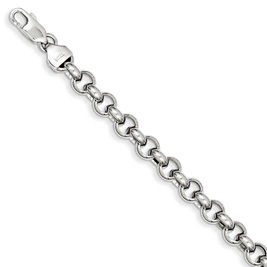 White gold rope chain bracelets are a jewelry basic and a must-have for any lady�s collection. 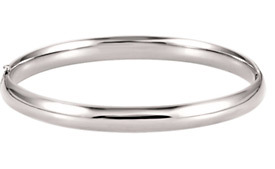 They complement nearly any outfit and work well with any other white gold pieces, allowing them to take you from the workday to the weekend without missing a beat. Apples of Gold carries these bracelets in a range of widths, from barely-there narrow versions to can�t-miss-them wider styles. 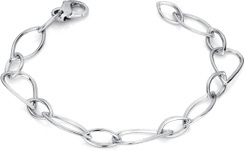 Regardless of width, each of these rope chains is fastened with a secure lobster claw clasp. 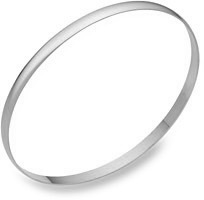 Bangles are another jewelry classic, and when they�re crafted from top-quality 14K white gold they�re able to carry you from trend to trend, looking classy season after season. 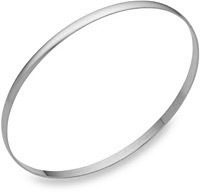 These sleek bracelets are available in narrow widths and styles up to a full inch wide, allow you to make a statement that�s just as bold or as subtle as you desire. 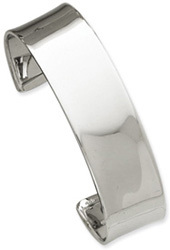 Wear one alone, or group them together for a look that�s carefree but always classy. 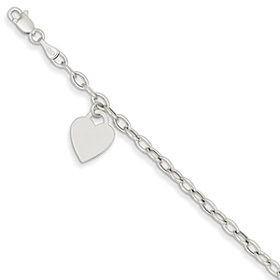 If you�re looking for a white gold bracelet that�s a little more than basic, try a fun and feminine charm bracelet. 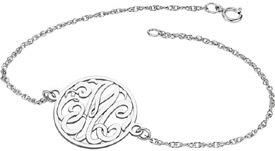 Or, opt for a style with links that are a little out of the ordinary; for example, links that call to mind a paisley pattern or a series of Celtic knots will make a statement and serve as a conversation starter. Modern and unique styles like these can take an outfit from so-so to sensational. 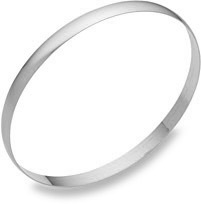 Many of these white gold bracelets for women are available in several lengths, ensuring that you�ll be able to find one that�s a perfect fit. 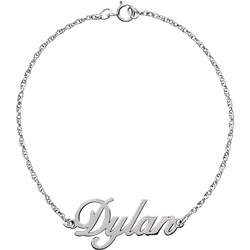 There�s truly a style and fit for every woman, and no lady�s jewelry collection should be without at least one of these pieces.